What do you enjoy most about Sage? I really like WINN period (What I Need Now) because it gives kids some time in the morning to wake up and have fun. What is your favorite activity or event at Sage? I liked the “New Families Picnic” because, if you’re new, you can get to know the teachers and play around with other kids before the start of school. What is your favorite memory/experience at Sage? Showing my Native American project where I created a longhouse out of craft sticks and hot glue. We got to share our projects in front of the class and got a grade on how we did. What do you like to do outside of school and why? I like to play videogames like Starwars Battlefront and Madden 19. I also like to play soccer, baseball, basketball, and lacrosse. I also do DI which is short for Destination Imagination. How do you feel Sage has helped prepare you and why? I think it’s preparing me for when I grow up. We’ve learned how to program computers with Python Software, which is very important because computers are more and more a part of our lives. As a parent, what is most appealing about Sage? Sage offers a nurturing, fun, small environment with intensive curriculum and fantastic support. What does Sage offer/provide for gifted students that other schools do not? Gifted kids need to be challenged in some areas and supported in other areas. Based on my son’s experience thus far, I believe Sage provides what he needs. Many schools seem to expect a child to grow in all areas at the same time. With good intentions, they do not want to overwhelm children with intense academics, when there may be a weakness in other life skills, such as organization. However, I believe this approach does not work. Some children need intense academics to feed their curiosity, making them want more. They need the intensity to feel the joy of learning every day. Sage’s curriculum and supportive environment caters to these types of learners very well. The school helps to get the overall best out of the students – which is absolutely wonderful. Is there a specific program that has been particularly impressive to you? This year’s STEAM Expo focused on “Urban Equity” and I was truly impressed with all of the students’ projects. The prep work started in the first week of school with the children doing community service in Providence, RI and surveying those in the community to better understand their challenges. Starting with this hands-on approach cannot be done better. I truly believe this education and experience will serve the students for the rest of their lives. I am also very happy with the Computer Science program. It has introduced my son to both programming and hardware. He is encouraged to pick external projects and his teacher has been very patiently supporting him on those projects. As a part of the curriculum, every student has been working on developing a robot. They started with the design, then the prototype, followed by the real thing. Students first learned how to put the hardware together, followed by the utilization of the software. I have found it to be a very comprehensive way of teaching computer science to the children. Why are you glad to have your children attending Sage? My son is very happy at The Sage School. He is looking forward to school every day and he is thrilled about what he is learning. I am hearing more about what is happening in class without asking! At Sage, he feels connected with every kid in the class. He feels supported. His self-esteem has increased and he is learning to advocate for himself both at home and school. As an educator, I believe in maintaining a positive mentality for students. Having fun while learning in any environment will support students in physical, intellectual, and social-emotional development. What do you enjoy most about working at Sage? Everyone is so friendly at Sage! I enjoy interacting with students, staff, and parents on a daily basis. I also enjoy the opportunity to teach gifted learners at a variety of ages from preschoolers to middle schoolers. Outside of my work at Sage, I coach a variety of sports, including soccer for the New England Revolution Soccer Academy. I also founded an adult soccer club named Providence City F.C. I’m also a keen kayaker, fisherman, hiker, and conservationist. I am also a decent cook, a half decent karaoke singer, and a terrible guitarist. What inspires you most about Sage students? The students here are so enthusiastic when they come to class. Their willingness to participate and to be an active learner each and everyday reaffirms why I made this career choice. How did Sage prepare you for life outside its doors? I found that I was very well prepared for the amount of work in high school. Although classes at Commonwealth are challenging, Sage provided me with the necessary foundation and skills to work through those challenges. Sage allowed me to explore my interests in a welcoming and nurturing environment, where I had opportunities to try and learn new things, while still further developing my passions. How did Sage support you in finding your next step(s)? I felt very supported and affirmed while going through the high school application process (special thanks to Ms. Tanner and Ms. Lavigne!). Not only was I assisted through the actual application process, but later on in the selection to make sure I went to the school that best suited me. Do you feel that going to Sage affected your life long term? If so, how? Sage taught me how to work efficiently and apply myself to areas of interest. It also taught me how to learn; I am comfortable exploring new areas of interest, asking questions, and attempting new things. What is one of the things you most appreciate about Sage now? I am so grateful for the opportunities presented to me while I was at Sage. I see how it has prepared me for high school and the education gained will continue to serve me in the future. I enjoy the Friday community service block, which the entire Lower School participates in. It’s nice to help other people in the community and I like when we have guest speakers. I like the Friday talent show where anyone can sing, play piano, or dance. I am in the Running Club, Quilting, and Robotics. I joined Robotics because I enjoy working with technology and I like the projects Mr. Martelli gives us. We are working on creating a vending machine now. I started sewing last year and made my first quilt, so I knew I wanted to do it again this year. How has Sage helped to prepare you? When I first started at Sage I was really picky about what I liked doing. There are so many different clubs and classes here and now I really enjoy trying new things. I like acting, so I’m planning on joining the musical next year. 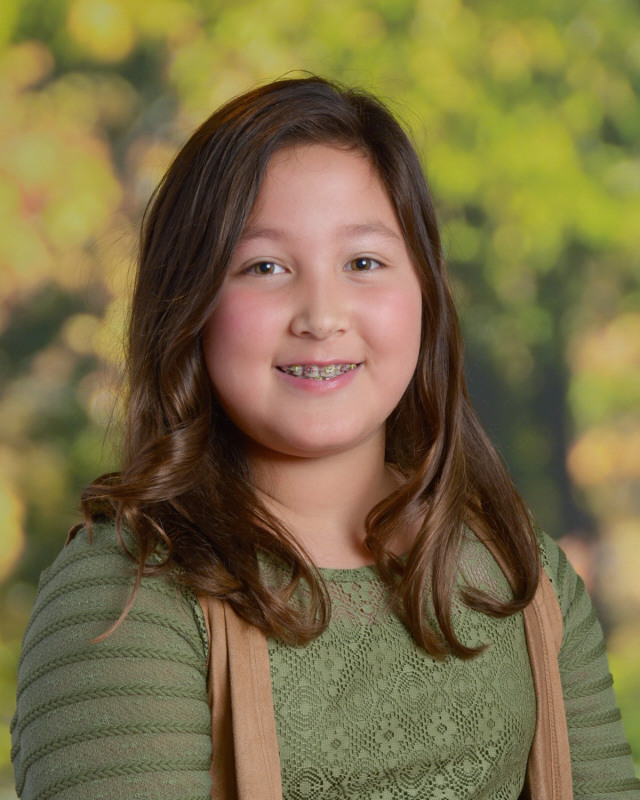 Fourth grader Zoey S. has attended The Sage School since Pre-Kindergarten. Her brother Zack is in fifth grade and sister Emily is in seventh grade. What I find most appealing about Sage is the opportunity it provides for individual student growth and development. We had Matthew at another school for Pre-K through 1st grade and while it was a well-respected school, it did not effectively provide an environment where he could stretch his mind and his imagination. He had ideas and thoughts and interests that weren’t being cultivated. Sage provided that place for him to safely explore…to take risks…to “fail forward.” We saw the difference that made for him almost immediately. Sage has embraced the idea of teaching the “whole child.” It is easy for a school that gifted students to focus on “rigorous academics” as their mantra. But that is not enough. The academic and scholastic achievement that is not supported by character development will not help our children be successful. At Sage, character matters. The depth and breadth of opportunity that has developed in the science program has been really fun to watch. Matthew fell in love with the modules on DNA last year. In fact, he asks every secondary school at which he interviews if they have a DNA sequencer! Why are you glad to have your child attending Sage? When you drop your child off at school, you are trusting the people there with your most important possession. The Sage faculty and staff – to a person – are fully committed to helping students and parents have a positive, productive and successful educational experience. Richard Parry of Mansfield, MA is the parent of a Sage eighth grader. This is his family’s seventh year at Sage. I believe that every classroom presents a unique community of learners that are all capable of conquering and leading the world. It is my job as an educator to provide every student with the necessary tools needed to meet their individual goals, all while promoting risk-taking, confidence, and collaboration within the classroom setting. I also think it is so important as a teacher to remain flexible and open to implementing different teaching strategies to maximize all students’ learning potential. What I enjoy most about working here at Sage. The passion and intelligence that my fellow colleagues bring to this community is truly remarkable. I feel so fortunate enough to be able to learn and grow as an educator every day from the faculty here at Sage. I am surrounded by people that are so dedicated and work here because they genuinely love their students and love to teach. The teachers have welcomed me with open arms this year and have supported me in a way that I did not think would be possible. The students at Sage inspire me. What inspires me most about working at Sage is the students’ wealth of knowledge and curiosity. It is so incredible to see how engaged students are during lessons and activities. We are always diving deeper into the subject matter and exploring different avenues of the topic. I am also very inspired by the community atmosphere that is instilled throughout the school. Whether we are at an all-school meeting, on the playground, or working collaboratively with other classrooms and age groups, Sage is a school unlike any other school I have stepped foot in to. The teachers collaborate so well together, everyone is always open to new ideas, and the students are constantly receiving the help that they need to reach their full potential, all within a supportive environment. Kara Alderman is a Pre-Kindergarten teacher. This is her first year at Sage. 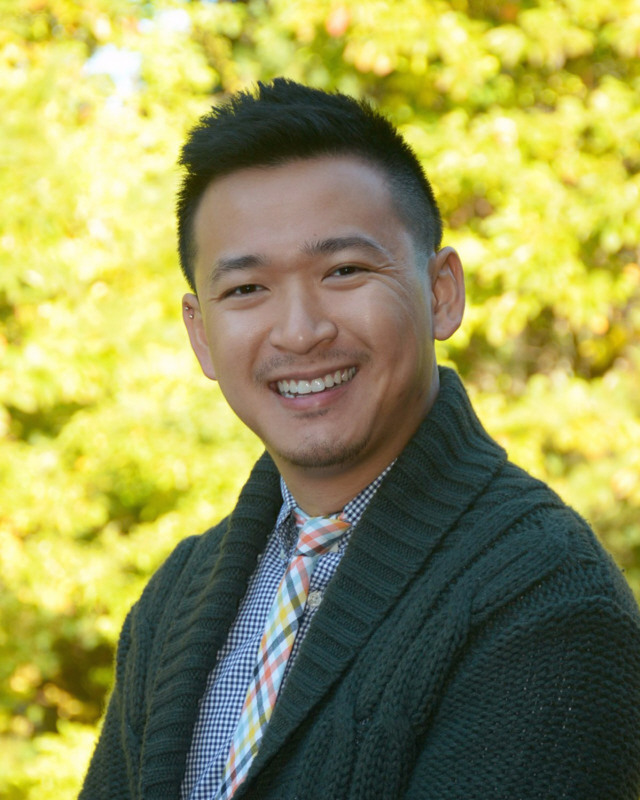 After graduating with Sage’s class of 2009, Alexander Lee continued his secondary studies at Milton Academy (Milton, MA). Alex went on to attend Rensselaer Polytechnic Institute (Troy, NY) where he is a member of the class of 2019. 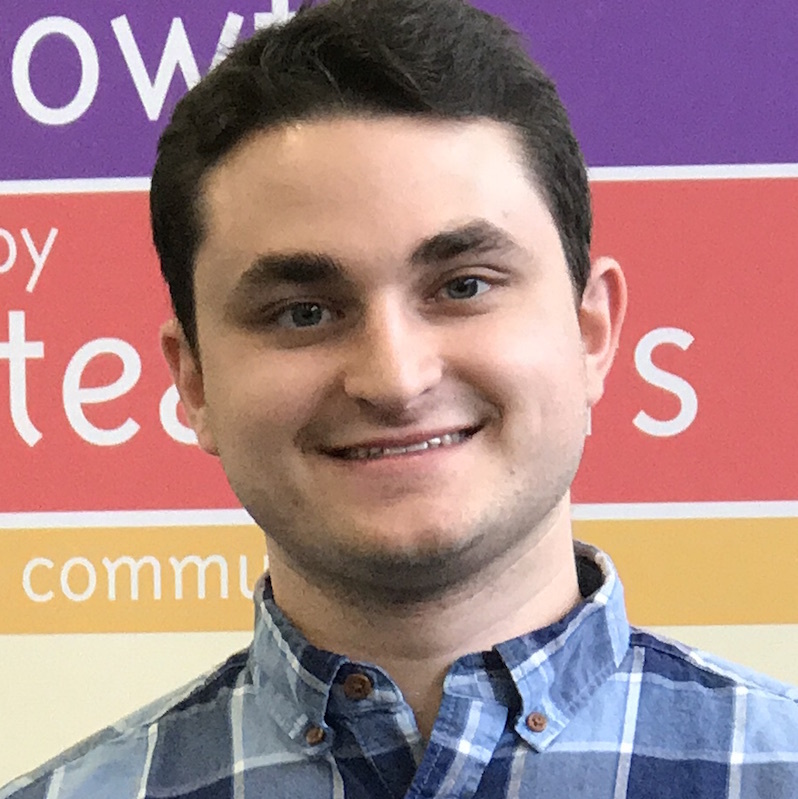 With a dual major in Chemical Engineering and Computer Science, after his upcoming graduation, he is looking forward to pursuing a career in engineering with a heavy emphasis on coding – combining his two academic interests! 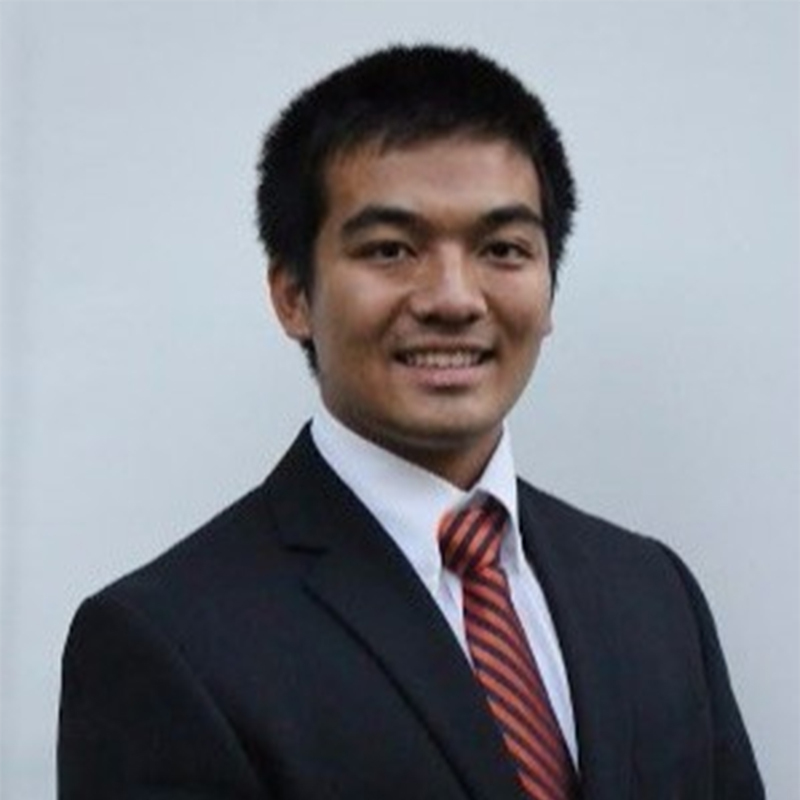 During his time at RPI, Alex has had the opportunity to work as a Research Assistant – allowing him to co-author a published paper (on chemical reaction predictive simulations in MATLAB), as well as work as a Specialty Chemicals Production Engineer Intern at Momentive Performance Materials, and as a Nuclear/Mechanical Engineering Intern at Westinghouse Electric Company. He is also a member of RPI’s nationally ranked Men’s Tennis Team! I’m a believer that all learning builds upon the experiences of an individual’s past. I was fortunate to go to Sage for eight years, giving me plenty of time to experience all it has to offer. To this day, I still feel as if that academic background (Sage was my first school after all!) was advantageous in my succeeding at Milton, which in turn has benefitted my time at RPI. Sage was instrumental in exposing not just me, but also my family, to the available secondary schools in the area. [Sage’s school placement office] had connections with the admissions offices of the different schools and assisted with the entire process, including the many visits, essays, and interviews. Every stage of my life has been the “junior” version of the next step. Sage’s academic challenges were a precursor to the rigor of Milton Academy, just as the many opportunities that Milton afforded foreshadowed the intellectual freedom available in college. I will always be thankful that I had Sage as part of my first big step in life. With the small class sizes, Sage was excellent in providing me with personalized attention. Looking back, there was always enough academic support from the teachers to succeed. Even though the work was challenging, it was never impossible because of the superb guidance that the teachers were able to offer. I have been at Sage since my very first day of school, starting in Little Scholars/Pre-K. It is simply amazing here. The teachers at Sage take every opportunity they can to really explore, and expand on, a topic to challenge us academically. They encourage us to delve deeper and ask questions about the topic we are learning about. What I like most at Sage are my teachers, friends, and all of the fun projects/activities we do. I like that each day is interesting and new. I love all the arts blocks because I play piano and guitar, and I love to paint and draw. I also enjoy participating in the theater at Sage. Fourth grader Giuliana O. is in her sixth year at Sage. Her younger sister Isabella is in second grade. What has your first year at Sage been like? Being at Sage for our first year has been such a relief. We have found in Sage everything that I have hoped for as a parent. The teachers and faculty truly see and care about the whole child. Not just what they need academically, but who they are as a person. 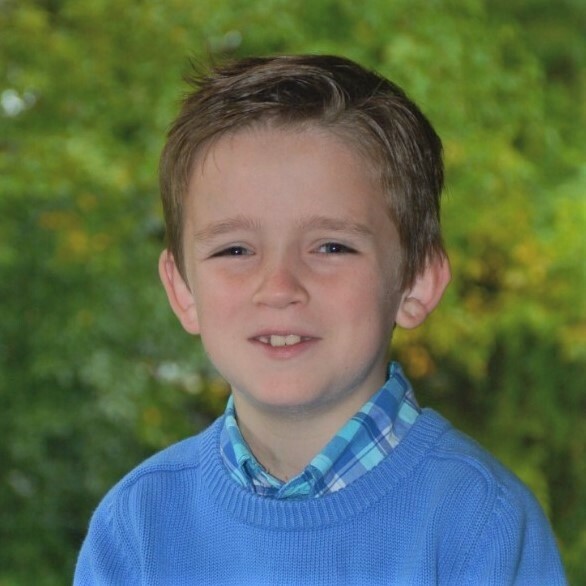 Jack has quickly become a part of the Sage family and looks forward to school each day. As I drop him off, I feel like I am dropping him off with an extension of myself. The compassion and respect given to each student, with the expectation of compassion and respect in return, breeds an environment that he thrives in. What does Sage offer for gifted students that other schools do not? The teachers find a beautiful way of making sure that each student is learning and being challenged in some way. Each child is at a different level in different subjects, and they are able to meet each one at their level every time. The projects that have been done in the classroom encompass many subjects and lessons within it. The teachers are so good at encouraging and celebrating students’ independence and differences while also teaching them how to work as a group. They also meet their needs by keeping them engaged, going outside for projects as often as they can, and making their work active. Is there a specific program that is particularly impressive to you? I have been very impressed with the emphasis on the arts at Sage. Jack has some form of arts every day. This is such an important addition to academics and is something that is being cut in other schools. As a result of his exposure to all of the arts this year, Jack has found freedom in expressing himself in different ways. Seeing his pride in his work, his performances, and the knowledge of arts that he has gained has been so refreshing. Why are you glad to have Jack attending Sage? It has been such a relief to me throughout the school year that Jack is here at Sage. I have seen him grow academically, but it has been the personal growth that has been most impressive to me. He is learning to be okay with being challenged. Sage has taught him that making mistakes is how we learn, and it’s okay to not be perfect. I have seen this come out in his everyday life. He no longer gives up on difficult tasks quickly and seeks out things he doesn’t understand in order to understand them better. The growth and sense of community that he has had from just one year at Sage makes me so optimistic for his future and his love of learning. Kathryn Greenfield is from Franklin, MA. Her son Jack ‘ 25 is in first year at Sage. For me, education is intrinsic to the human condition. My teaching philosophy is predicated on the principles that education is a means of empowerment for students, and an avenue of opportunity for all. As a professional in the humanities, I work with students to understand historical periods through analysis of timely literature, primary resources, and drawing parallels to the vestiges of a historical period to our modern world. It is my belief that creativity in teaching techniques is paramount to facilitating a meaningful curriculum for students; it is in the endeavor that I frame the humanities curriculum into a responsive class model where student interests and questions take precedence. Many times the material intended by the teacher is only as effective as how it is presented and engages a class. In order for students to understand a subject’s material, a teacher must make that material accessible. The community at Sage is unlike anywhere else I have taught. The steadfast dedication and passion of faculty and staff to have our students’ ideals realized is matched by our students’ own ambitions and curiosity. I find myself fortunate to be able to observe fellow faculty members’ classes to practice and improve my own teaching craft. Through our professional development and engagement with students, teachers at Sage work to become as effective as we can be to the content and social-emotional curriculum both in and outside of our classrooms. I am inspired by Sage students. What most inspires me about Sage students is their ambition to continually push their thinking to draw connections between history and literature with personal narratives and current events. The questions and topics frequently discussed pushes my own perspective, and asks that intrinsic, existential question: why? Pat McManus is as a seventh and eighth grade humanities teacher, eighth grade advisor, and Model United Nations Advisor. This is his second year at Sage. 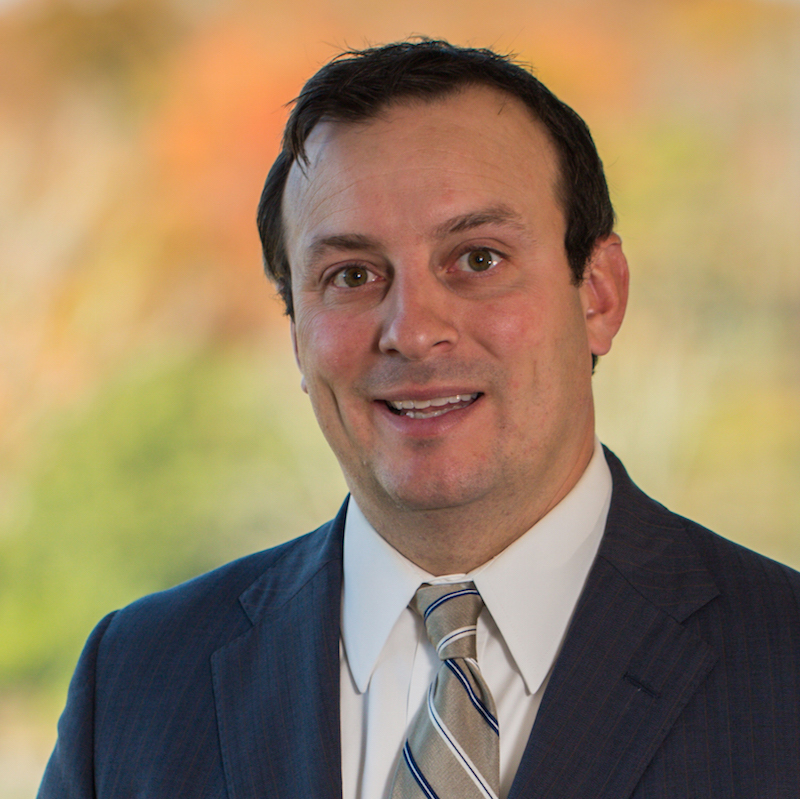 Priot to Sage, he taught history and English at Berwick Academy while earning his MEd from Lesley University. He graduated with a BA in Political Science/International Relations from the University of New Hampshire. Additionally, he enlisted in the Americorps N.C.C.C. program to volunteer in communities throughout Mississippi and Louisiana. 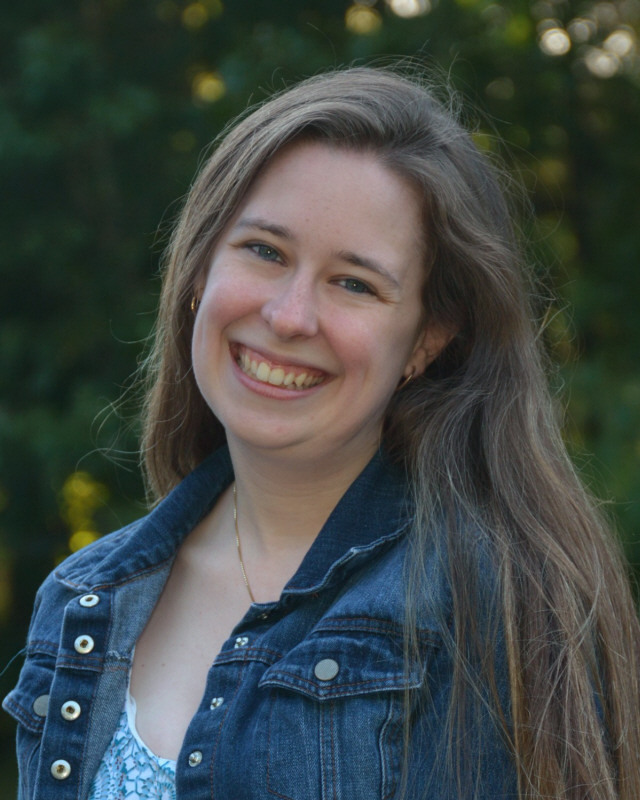 After graduating from The Sage School’s Class of 2010, Katherine Gross continued her secondary studies at The Winsor School in (Boston, MA). Kat then went on to attend Johns Hopkins University (Baltimore, MD) where she completed her BA in International Studies in May 2018, with a concentration in Africana Studies. During her undergraduate career, Kat was involved in a diversity of extracurricular pursuits. 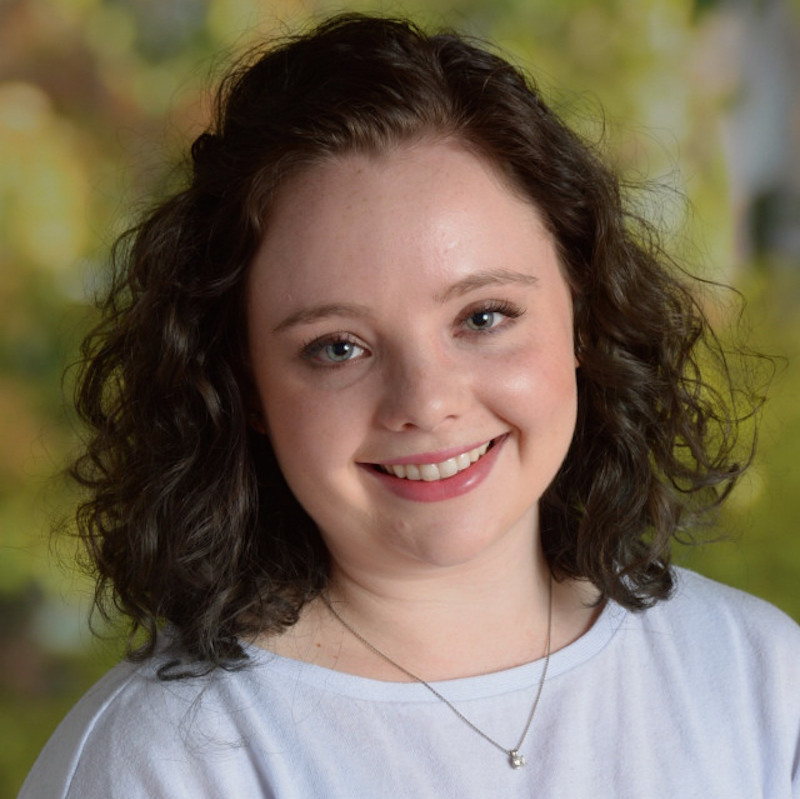 On campus, she sang with The Sirens, Hopkins’ premiere all-female a cappella group, served as an Executive Director of the Foreign Affairs Symposium, a student-run forum dedicated to engagement with issues of global significance, and was active in Greek Life as a sister of Kappa Kappa Gamma. 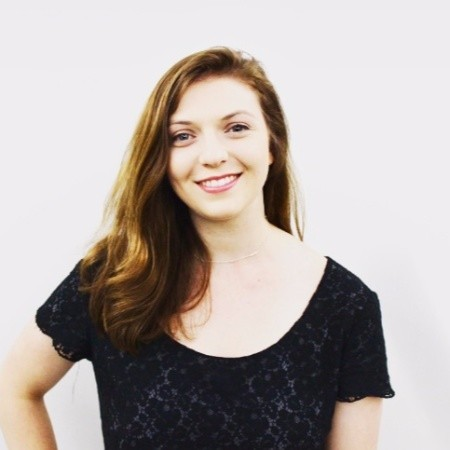 Additionally, Kat is passionate about non-profit work and improving accessibility to educational resources in traditionally underserved communities. In 2016 and 2017, she participated in the Forest Foundation’s Summer Fellowship Program, through which she completed 800 hours of fully funded, self-designed service work throughout Boston. This coming year, Kat is thrilled to be continuing this commitment as an AmeriCorps VISTA in the Baltimore City Public Schools, providing individualized literacy support in elementary school classrooms. Kat credits Sage with giving her the confidence to resist conformity, the tenacity to pursue and support the causes that matter most to her, and the ability to foster connections through empathy and tolerance. As the 2018 Commencement Keynote Speaker, she is thrilled to be returning to the place where she spent many formative years and to able to engage with the amazing graduates of the Class of 2018! I look forward to the activities we do every day in homeroom at Sage. My favorite project was when we read books, and then I worked with my classmates to act them out together. I got to pretend to be a dog who was very lazy. Our teachers made it a lot of fun! We were able to use different voices for our characters, and I used a silly dog voice. This activity helped us learn more about each other and the story we had read! What is your favorite event at Sage? My favorite day at Sage is Field Day! We get to be in groups with other Sage members that are not in our class. We play around and have a lot of fun, and we explore new games. Everything is always a challenge. Every group has a teacher to help them out and teach them the new games. Why are the teachers at Sage so special? The teachers at Sage always come up with cool activities, cool projects, and cool places to do the activities! We do our activities in all sorts of spaces, even outside and in the gym. The teachers are fun and enthusiastic, and the activities are challenging and fun and help you learn more about your classmates. Everyone at the Sage school is kind and cares so much about helping you learn! 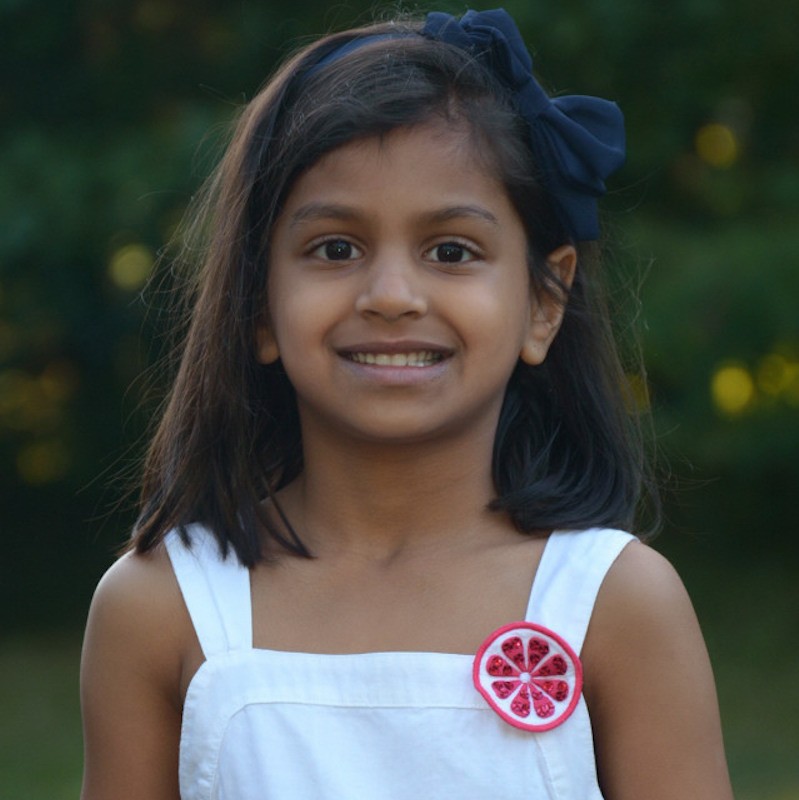 First grader Ashna J. is in her third year at Sage. Her two older brothers, Rohan (Grade 7) and Milin (Grade 4) also attend Sage. Ashna and her family live in Foxboro, MA. Although my three girls are very different in personality and interests, Sage has remained universally appealing to us. As a small school focused on gifted kids, it allows the teachers to understand each child individually: their strengths and weaknesses. Teachers get to know each and every child, their personalities, and what drives them, whereas at a large school with a large class size, there is no time for a teacher to focus on an individual student, especially when that child may be the brightest kid in the class and appears to not need help in any way. Sage also has a diverse student and parent community which we feel prepares our kids for a global workplace where it is so important to be able to get along with, collaborate with and communicate with anyone. It has been our experience that gifted kids are often not challenged at other schools; this does not help build a strong ethic, because they learn that they can do well without doing much. Similarly, students can develop a reluctance to take on challenging material and not gain the resilience necessary to succeed later when they have no foundation and experience in trying and failing. Sage’s dual focus on academic achievement and social-emotional skills helped my kids deal with typical gifted kid issues, including perfectionism, isolation, confidence, and the need to develop resilience and perseverance through rigor and high expectations. My kids came to Sage in fifth grade and were very far behind in terms of their writing skills. The Sage Humanities Department really helped support and develop their grammar, critical thinking, analysis and communication skills, which are in high demand at the high school and university level, especially at top schools. My oldest, now at Boston University Academy, owes her prowess in this area to Sage’s Middle School Humanities Faculty. Believe it or not, I am most appreciative of the amount of, and high expectations regarding, homework! Unlike in the public schools that they all attended through fourth grade, Sage faculty don’t give “busywork” homework. We have no issue with hours of homework if it’s constructive, challenging, and enables them to build both academic and “soft” skills, like communication or time-management skills. Sage homework prepares the students well. Having a high school junior in our house who is taking challenging BU classes, we all see the benefits of learning to cope with that amount of homework, of learning time-management skills, prioritizing and planning, of completing work to a high standard and learning self-discipline. One of the hardest aspects of being a smart kid, in our opinion, is realizing that not everything is supposed to come easily, and that hard work is not only a necessity if they want to succeed at the higher levels but something they can feel good about being able to do. Barbi Woolf has two children who currently attend Sage, Claudia ’18 and Vanessa ’21. Her daughter Ashleigh ’15 is currently studying biology, Spanish and neuroscience at Boston University Academy. Katie Small was first drawn to working at Sage three years ago because of something special she saw in the students when she visited. Today, she feels privileged to be able to come to work every day not only to teach, but to learn from her incredible students. Katie began at Sage in the Pre-Kindergarten classroom. When Sage developed its Beginners program, Katie jumped at the chance to be part of it. She has always loved working with young children and enjoys finding ways to include her Beginners students into various programs at Sage. Katie Small graduated from Rhode Island College with a degree in Early Childhood Education. 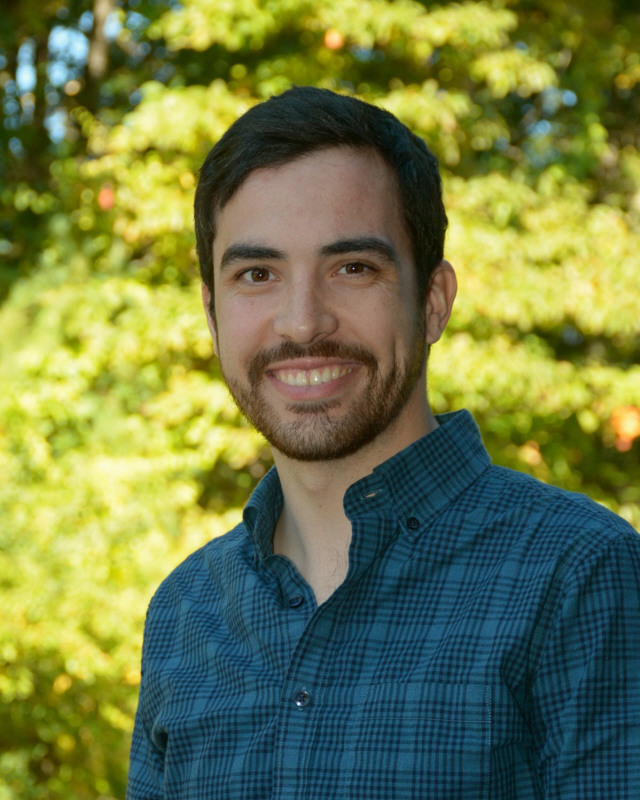 Jake Menashi’s lifelong interest in sports brought him to the ESPN cable network where has worked as a production assistant and graphics producer. His current position in the ESPN’s SportsCenter AM Program entails video/television production, graphics creation, and coordinating with show guests. At the intersection of sports and art, his work experience has given him the opportunity to travel to prestigious sporting events and learn about the production behind the camera. Jake attended Tulane University. During his time there he was involved with WTUL Radio (starting Tulane’s first ever sports radio program), as well as the Tulane Sports Business Association. Jake graduated from The Sage School in 2007 and Newton South High School in 2011. He attended Tulane University where he earned a B.A. in History and Communications, graduating in 2015. What do you like most about The Sage School? I love that at The Sage School the teachers take every chance they have to teach others an important life lesson. I also love that they keep giving us challenges to make us better, even if we are already performing at a top level. How is Sage different from other schools that you attended? Sage is a different school from others because teachers create a comfortable environment for us to be in, a place where we know we are safe both physically and mentally. Sage challenges us in a way that doesn’t feel pressured at all. Teachers at Sage are not afraid to have fun with their classes if it’s the right time and place. Two events that I LOVE are the Sage Musical and the Junior Play because we take a break from academics while still having fun and learning with our friends! 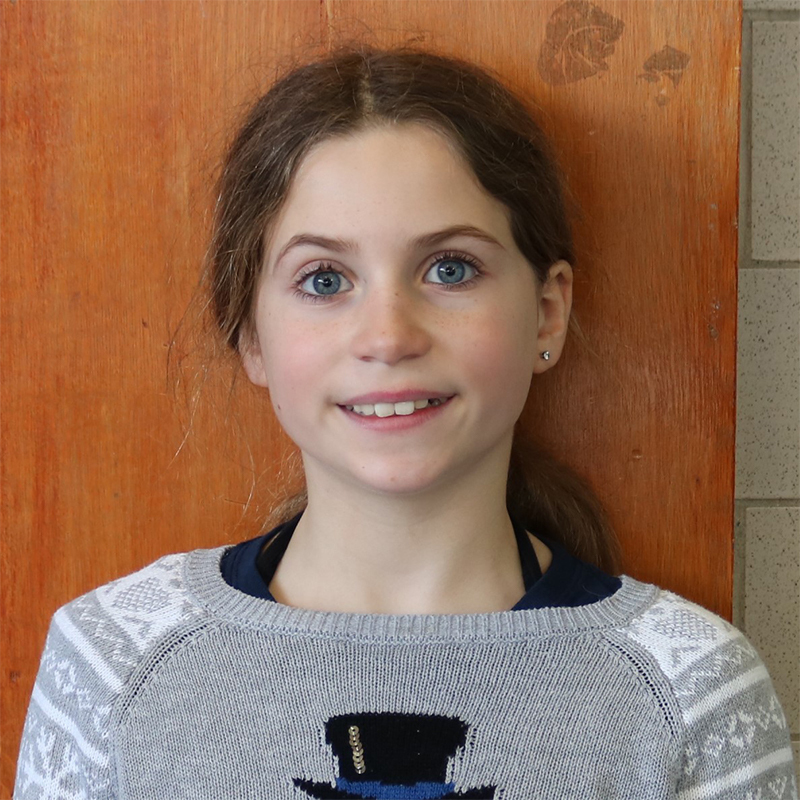 Fifth grader Isabella C. is in her second year at Sage. She also attends Summer Sage. Isabella lives in Foxboro, MA. What does Sage offer gifted students that other schools do not? There are several differentiating factors that make Sage an incredible fit for our children. One of the biggest gifts has been giving our children a peer group in which they belong and can thrive. Another amazing asset is the teachers. They are extremely knowledgeable in the needs of gifted children and are skilled at teaching them how to grow and flourish academically, socially, and emotionally. They have an open-door policy and are in constant communication with us. What part of Sage impresses you most? The aspect that has been most impressive, especially coming from another elite, academically rigorous independent school, is that the administration’s priority is meeting the needs of the students. It is not rhetoric here – it is truly how the school operates. The school’s focus is nurturing and stimulating each child in a way that makes sense for him or her. Competition is not a value here, which allows the children to feel comfortable to push themselves beyond the edge of their limits. While parenting a gifted child is a blessing, it also provides a host of anxieties and stresses. We constantly worry if we are providing our children with what they need. Before we visited Sage for the first time, I spoke with a current parent who said she finally felt the weight of the world had been lifted from her shoulders since enrolling her son at Sage. I am so happy to say that I feel the same way. It is incredible to know that we have a support network in our corner. Corinne lives in Needham, MA. Her son Landon ’24 and daughter Kendall ’27 are in their first year at Sage. Kayla currently teaches Grade 4 at Sage, as well as third grade math. 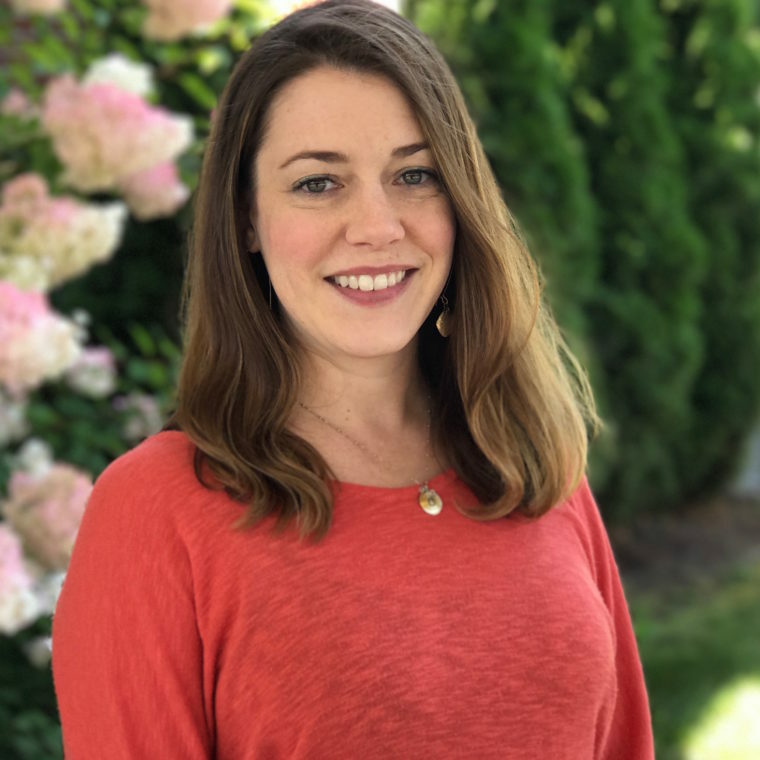 Having taught her current fourth graders as a Grade 3 homeroom teacher, Kayla has loved looping with this group and the opportunity to carefully observe their academic growth over the last two years. 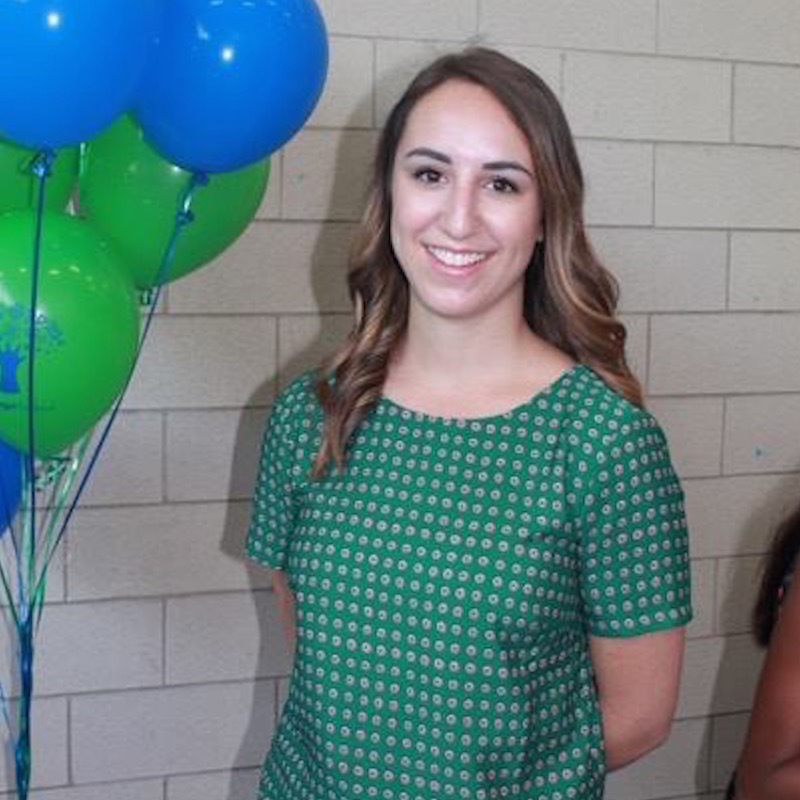 Kayla began working at Sage first as a short-term substitute and then soon as a long-term sub. She appreciated getting to spend time in all of the different classrooms and work with a large population of the Sage student body. In her current role as one of the Supervised Study teachers, she continues working with Sage students across grade levels. Kayla has also taught the kindergarten group for Summer Sage the last two years and led the Primes Afterschool Math Club in years past. What I enjoy most about working here at Sage is the excitement that the students bring to learning and the opportunities to collaborate with other teachers on projects and lessons. I am inspired by Sage students’ curiosity. Their wonder stretches far beyond their years and their curiosity often influences our lessons. It’s a great feeling to see them exploring their passions through our projects. Passionate about becoming a teacher, Kayla earned her B.A. in elementary education at High Point University, North Carolina before attending New York University where she studied TESOL (Teachers of English to Speakers of Other Languages). After time spent studying abroad in China, Kayla earned her M.A. 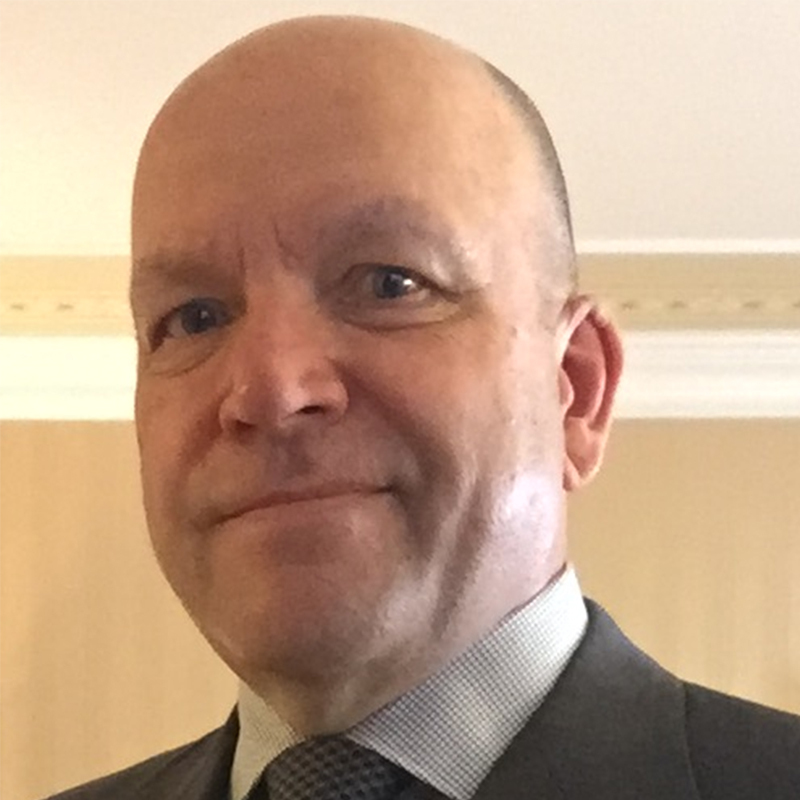 in TESOL in 2016. Looking back at her life, Nicole sees her time at The Sage School as an essential part of her development, giving her the safety she needed to grow, explore, and learn from mistakes. 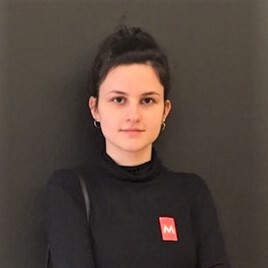 She returned to Sage in the fall of 2017 to speak with upper schoolers about her time at Sage, and the work and research that she is doing now. Much of what Nicole shared with the students resonated with them. 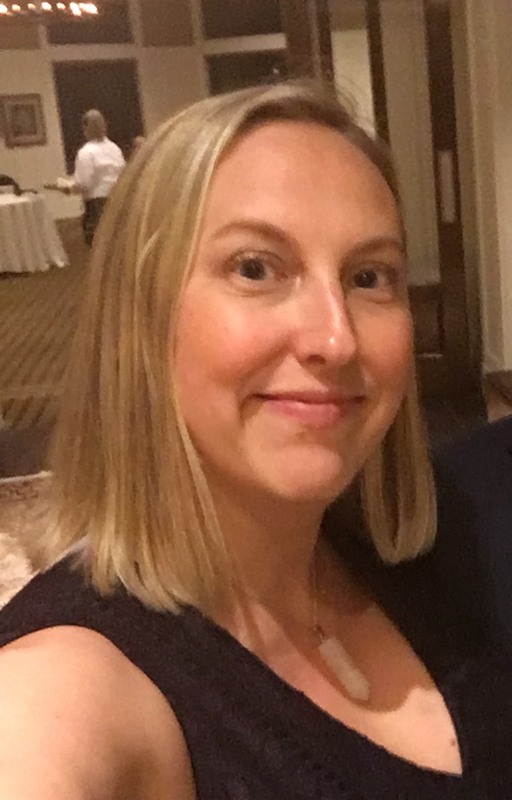 After graduating from The Sage School in 2004, Nicole graduated from Walpole High School, and earned her undergraduate degree at Tufts University in 2012. At Tufts, she studied International Relations and Psychology. She then attended Harvard University and earned her master’s degree in Middle East Studies. After graduation, Nicole had an itch to travel. 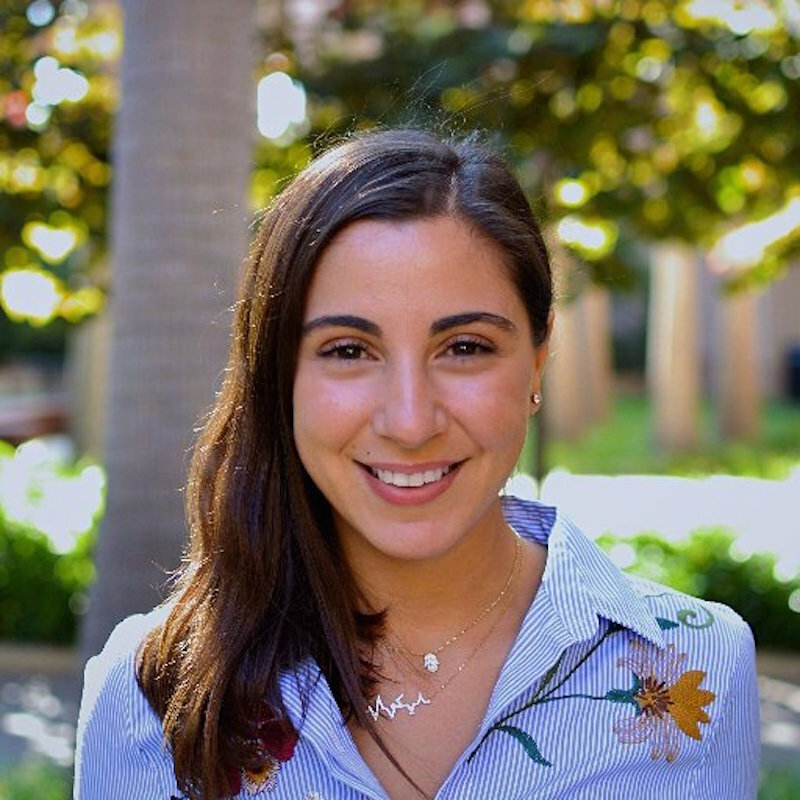 Armed with her degrees in International Relations and Middle East Studies, she moved to Dubai for three years where she worked in the tech and startup industry for two years, and then transitioned to work with the Government of Dubai. There, she worked on Happiness Research, focusing on the experience of employees in the workplace. She looked at questions such as: What makes people satisfied at work, and what makes them leave their jobs? How can we allow people to be more authentic, engaged, and happy at work? Dermot D. has been at Sage since Pre-Kindergarten – ten years! Dermot is involved in Sage Afterschool Programs such as Model UN and Swordfighting. He also plans to be in this year’s musical. Outside of school, he is involved in skiing and is a member of an undefeated lacrosse team. My favorite subject is humanities, because I enjoy how it covers a wide range of topics, with English grammar and history all in one. One of my favorite teachers is Dr. Berger (Latin) because he spends so much time out of class preparing great materials for us and makes class interesting and engaging. My favorite event at Sage was last year’s seventh and eighth class trip to Costa Rica. This trip was a great opportunity and experience. We went and helped at an elderly home and at a school where we also had the chance to practice our Spanish-speaking skills. We also got to go into national forests and see all of the wild animals in their natural habitat, such as monkeys, and observe how aggressive they are for food. Another thing we did was zip-lining in the mountains. That was amazing to be able to see the forest from above and go right over a large waterfall! How does Sage prepare you? Sage prepares you for secondary school very well, not only with academics but also in helping you with the application process and finding the right school for you. Ms. Tanner, our Secondary School Counselor, helps you with a practice interview, and tips and tricks to do on a tour or an interview. They also have an SSAT course for 7th graders in the spring. This was very helpful. 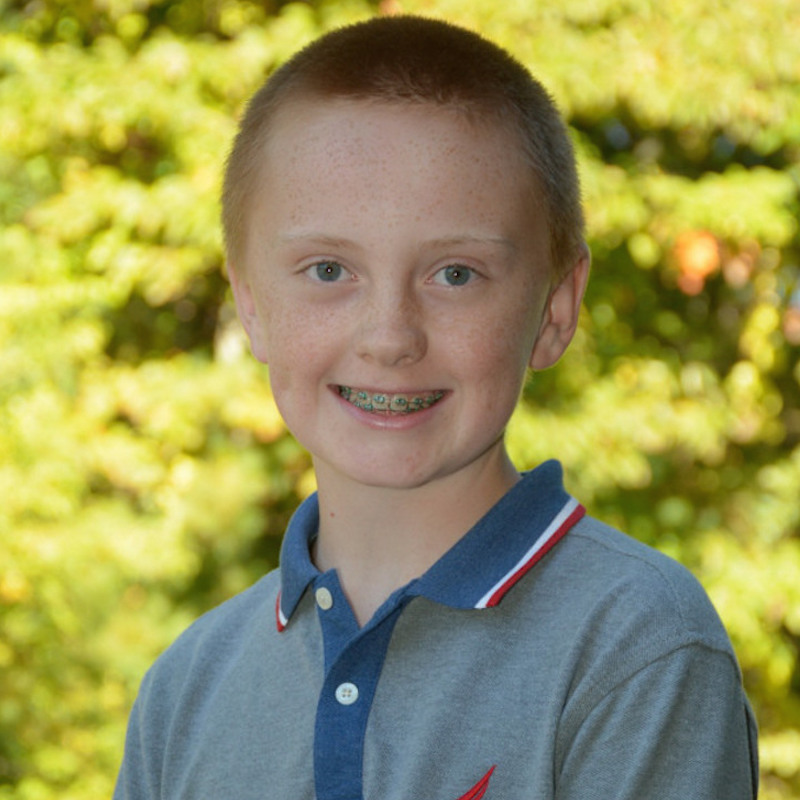 Eighth grader Dermot D. is in his tenth year at Sage, having attended Sage since Pre-Kindergarten. He lives in Foxboro, MA. As a parent, what appeals most to you about Sage? The Sage School provides my children, ages 5 and 7, with a broad range of subjects in academics, as well as helps them to grow emotionally and socially, and to learn critical thinking at a young age. These lessons and structure make The Sage School invaluable for their young eager minds. The curriculum at the school is structured so as to fit the needs of all ages and learning levels. Though my children who attend Sage could not be more different, we find that they benefit in a mutual way from the curriculum that is kept up-to-date. The school pays them much attention to ensure their needs are met. Is there a specific area that is particularly impressive to you about Sage? The teachers at The Sage School are by far a standard above any school I have had experience with. The patience, compassion, and communication provided to both my wife and me has been very helpful in understanding our children’s experience at Sage and has helped build trust between our family and the school; we know we can rely on our children’s teachers to provide the acute attention to our children’s minds and needs. The Sage community, which includes everyone from teachers to staff, parents to volunteers, and of course students and alumni, who help make the school great, confirm our belief that the school will continue in its legacy as one that is greatly beneficial to families and the community as a whole. Sean lives in Foxboro, MA. Two of his three children are enrolled at Sage. Jack ’25 has been at Sage for three years. Avery ’27 began Pre-Kindergarten in September. Sean is a member of The Sage School Development Committee. 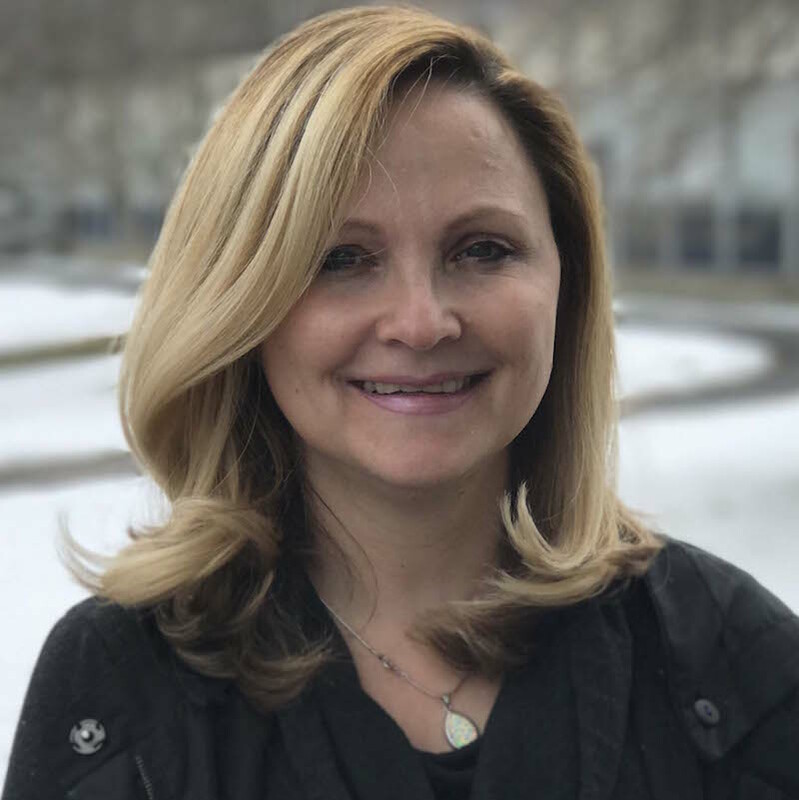 As the school counselor at Sage, Amy works to create a healthy environment for the student body by supporting their social and emotional well-being. This is done by meeting individually or in small groups with students, through classroom support with teachers, and in connecting with parents. “What I enjoy most about working here at Sage is the culture of kindness that is fostered and instilled. This can be felt and observed through interactions with students and staff alike. During the all-school meeting on Friday mornings, this is reinforced and feels like a large family gathering where students and staff come to share and express themselves and feel safe doing so. 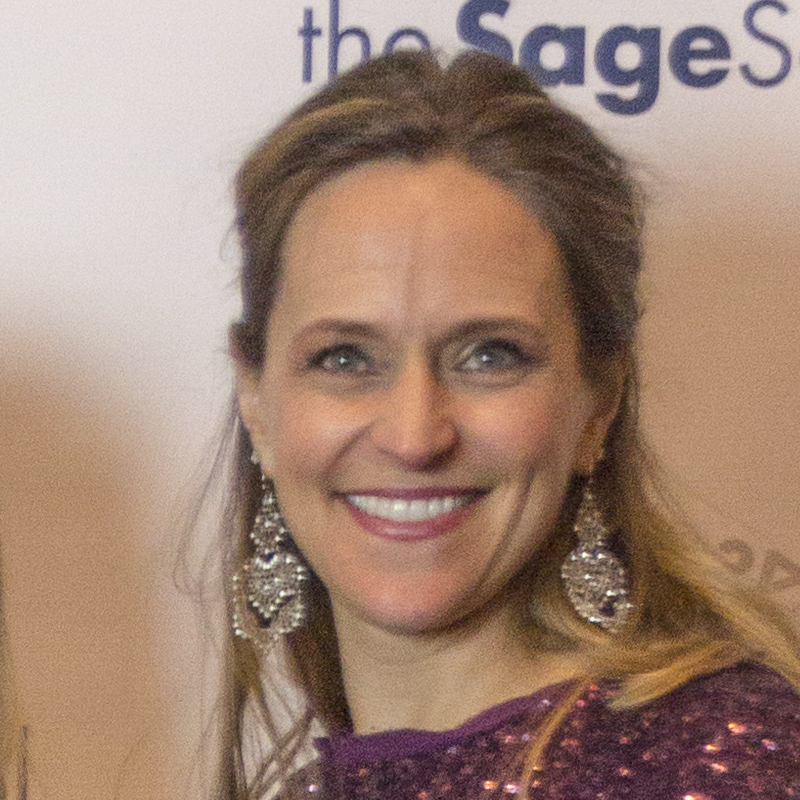 Amy Conrardy, LCSW, joined Sage in 2017 as School Counselor. She earned both a bachelor’s and master’s degree in social work from Rhode Island College. 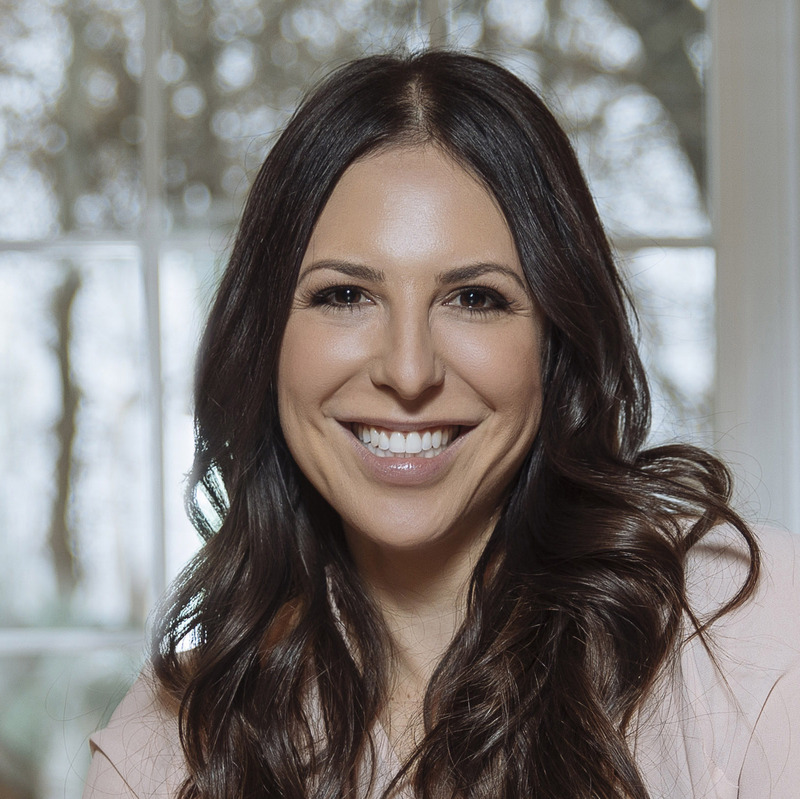 Amy is passionate about bringing mindfulness interventions into her counseling practice. Sudarshan is a graduate of The Sage School Class of 2017. He came to Sage in Grade 7. 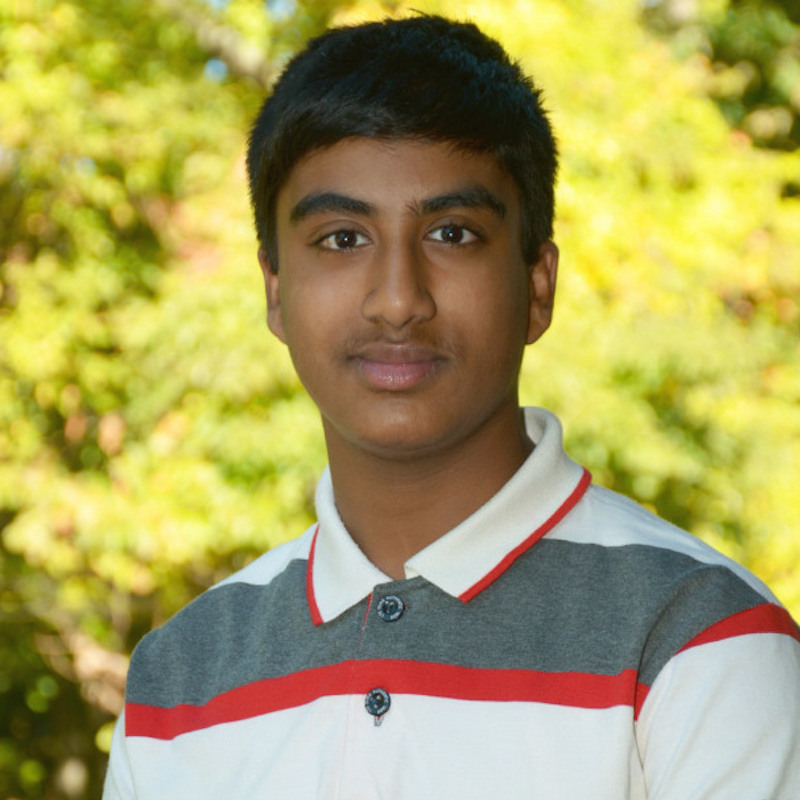 Sudarshan served as Student Council President and was actively involved in Model UN. Outside of school, he currently studies Indian style violin and vocal, as well as Western style violin. He also plays tennis and basketball. What was your favorite subject at Sage? My favorite subject was humanities because I learned a lot about current events and how the past has influenced them. Dr. David Berger was my favorite teacher as he was always willing to spend extra with me so I could develop a strong Latin foundation. What was your favorite event at Sage? The Middle School trips were my favorite events. I had the unique opportunity to spend a week with friends in another country or state related to your studies. What do you think is the best thing about Sage? Sage is great because of the close-knit community. Students have the opportunity to meet everyone at the school. Sage is place where students get to try new things and develop life-changing skills. Sudarshan attended The Sage School for two years before graduating in 2017. He is currently a freshman at Boston University Academy. Sudarshan lives in Sharon, MA with his family. How is Sage different from other schools that you have attended? It’s more of a challenging school than the rest by far. Learning is more exciting and at Sage they turn learning into a game. What is your favorite subject and can you share a special project you activity, event that you did/ participated in at Sage? In science we learned about bees and their life and as they get older they become scavengers and get pollen and nectar for the hive. We had a play and the name of it was the “Stubborn Goats and the Bees” and we learned that many is stronger than one…we also learned about ants, that they have mandibles and that they have a big nest underground and the eggs are very deep so predators can’t take their eggs. We were trying to see how far the ants could move in 5 or 6 seconds..your child will have an opportunity to learn more about science with Dr. Resnick in 1st grade and up! 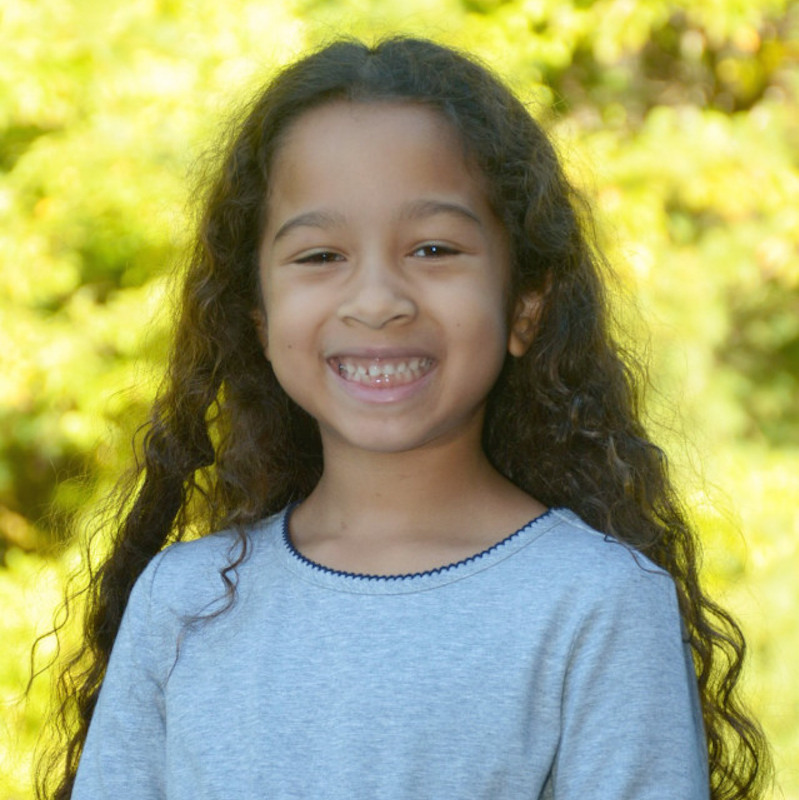 Second grader Angeliki V. is in her third year at Sage. She lives in Waban, MA with her family; her sister Evangelia is in Pre-Kindergarten. They both attend Summer Sage. What is different about the program Sage provides for gifted students? We initially brought our boys, now in sixth and eighth grade, to Sage in the hopes of finding appropriate peers and instruction. Happily, we found both, as well as an environment which takes the whole child into account. Sage teaches my kids how to be thoughtful thinkers, focusing not only on the academics but on how to use their gifts and knowledge to better the community and the world. One of my primary intentions as a parent is to teach my children to advocate for themselves. Sage supports this objective. Students in Grades 3-5 are coached through a process of goal setting and self-reflection. By the time they get to Grade 6, students are encouraged to lead the discussion during their parent-teacher conferences, encouraging a sense of responsibility for their own progress and success. Are there specific elements of Sage’s programs that are particularly impressive to you? The Sage curriculum ensures topics and areas of study are reinforced across subjects. I love the Sage approach to humanities where students explore literature and geography that supports their history studies. Additionally all students in a division cover the same topics, although in age/grade appropriate ways. When my boys, two grades apart, find themselves studying the same historical time period, it makes for many interesting conversations! Rachel lives in West Bridgewater, MA. She has two sons Jude and Miles who have attended Sage for 5 years. Rachel is a former SPA Co-chair and a current member of the Board of Trustees. Lance Sun teaches Spanish to Sage’s youngest students in Kindergarten – Grade 4. 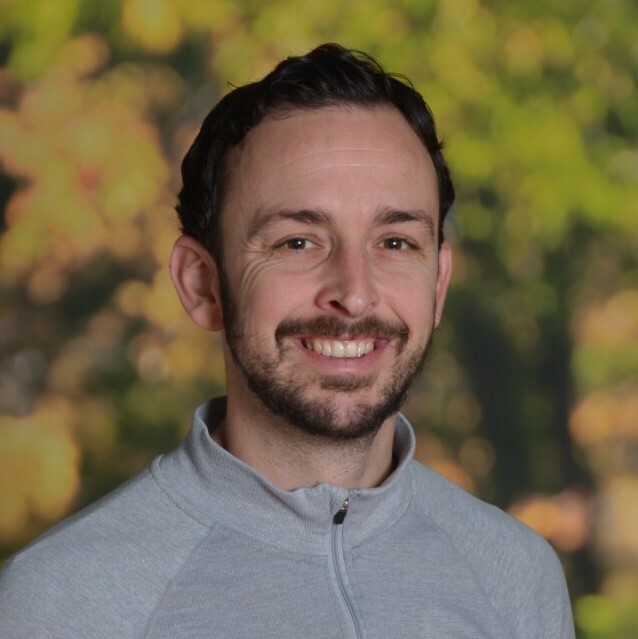 He is also Coordinator of Diversity, Equity, and Inclusion, a role designed to ensure that Sage remains a diverse, equitable, and inclusive learning community. “As the K-4 Spanish teacher at Sage, I provide my language learners the autonomy, competence, and relatedness they need to speak up and be heard in the global community. In my role as Coordinator of Diversity, Equity, and Inclusion, I equip the Sage community with a lens to better understand the system of power, privilege, and oppression, and the quiet confidence to step up against injustices. Lance is a native speaker of Cantonese and English, conversational in Mandarin, has been learning Castilian-Spanish since he was in 7th grade and is also known to dabble with Norwegian in his free time. He is passionate about all matters related to diversity, inclusion and equity in education, gamification and human motivation as well as coffee cultures around the world. Lance Sun earned a B.A. from Middlebury College, an M.S. in Instructional Technology from New York Institute of Technology, and is an aspiring candidate of the M.A. in TESOL/Dual Language program at the University of Rhode Island. This is his second year at The Sage School. In 2017, Danielle returned to Sage to deliver the first-ever alumni address to the graduating class. Below are excerpts from her speech. After graduating from The Sage School in 2007, Danielle Shulkin continued her secondary studies at Emma Willard School (Troy, NY). She went on to attend The College of William & Mary (Williamsburg, VA), where she completed her degree in English Language and Literature, with a minor in Linguistics. 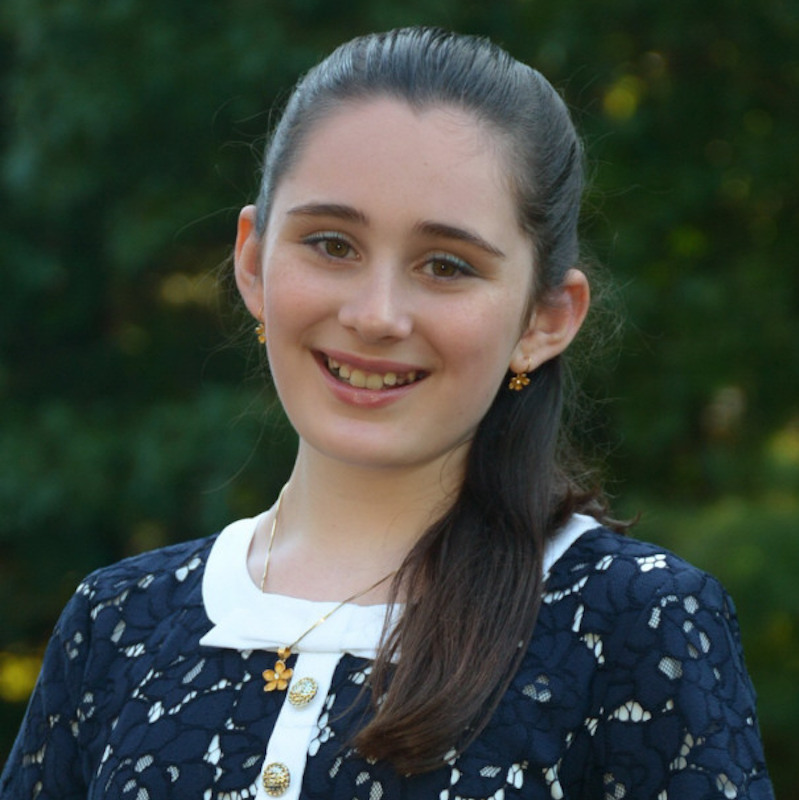 During her time there, Danielle helped provide opportunities for enrichment to academically talented youth by working with The College William & Mary Center for Gifted Education and running a free, residential summer camp for low-income, high-ability, middle schoolers. 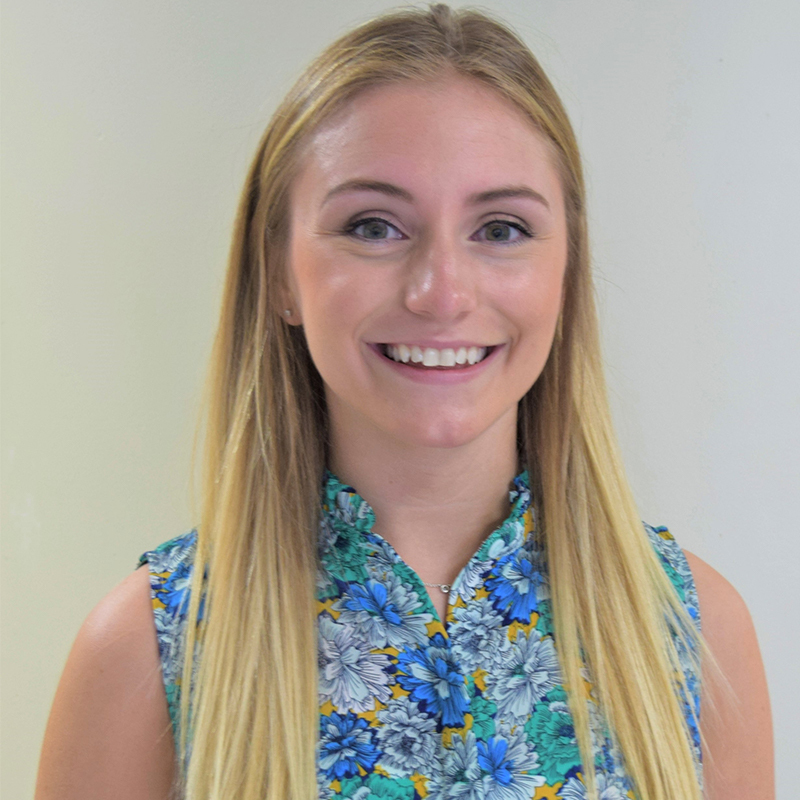 More recently Danielle was chosen to be a part of the selective New York City Teaching Fellows program with an emphasis on Special Education. As such, she currently teaches English at East Side Middle School in New York, New York and is completing her M.Ed. at St. John’s University. 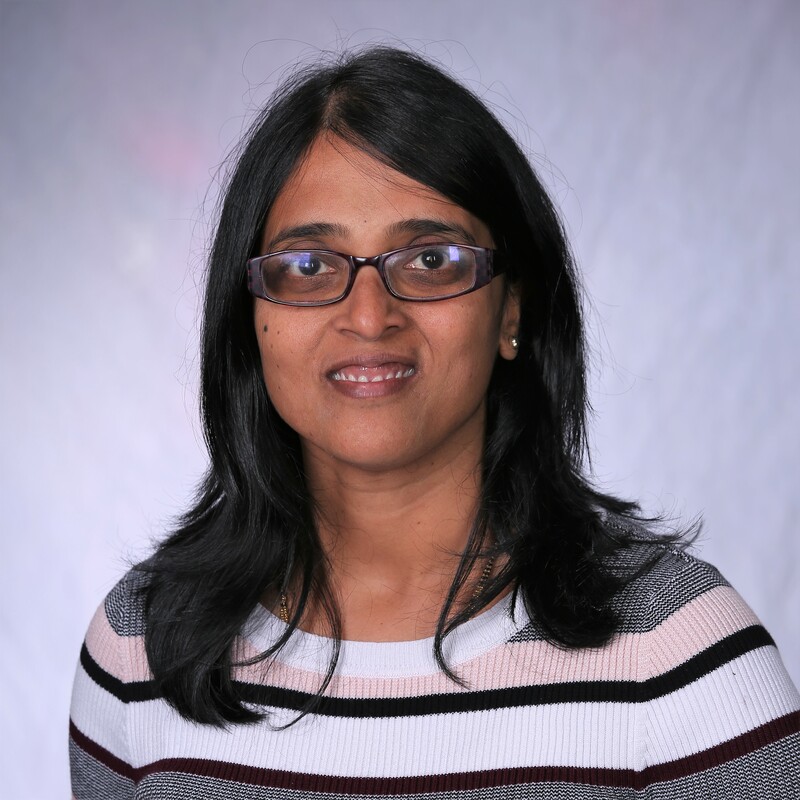 Her educational interests include international development through education, twice-exceptional learners, and the intersections of education, poverty, and other social issues. Professionally, she is proud of a recent classroom activity engaging students around the school to prison pipeline; she was inspired by her secondary school’s commitment to fostering global citizens, as well as by a unit on poverty she experienced herself as a student in her 8th grade humanities class here at Sage!